Insidious Conspiracy (E1) - Dax Hamilton's condition is critical, the team is under attack, and one of the members is missing. With so much going on, the department is short-handed. 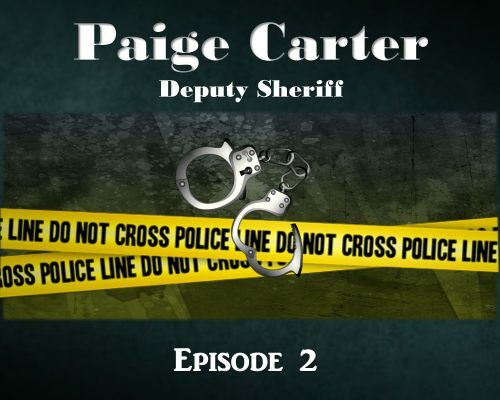 Can Deputy Reed handle his first case alone? Bogus Prosperity (S3 | E2) Tensions are rising in Manti. The team is under attack. Jericho is being watched, an adversary from Sean's past arrives in town and phony money is turning up everywhere. Hijacked Innocence (E3) - Porter's task forces intercepts a ship in New Orleans before it sets sail for the Mediterranean. A child is missing, vanished in the middle of night and it soon becomes apparent the family has secret - dark secrets. Can the team find the boy in time... or, is it already too late? Swindling Nomads (E4) - A friend of Sheriff Walter's needs help and Paige is the only one that can solve the problem. Gage responds to an overnight burglary spree with very few clues but a lot of damage. Dax and his friends must leave town to help a friend in need. Cultivated Defacement (E5) - Dax and the team launch a rescue mission to save Zeus. Paige and Jericho deal with mysterious crop circles propping up in wheat fields. Aliens or troubled earthlings? Hasty Retreat (S3E6) - A woman is nearly killed when she gets hit by a car, the driver leaves the scene, the victim is left on the side of the highway with serious injuries. Dax gets an unexpected call from Vato. Jericho is forced to deal with his past. Toxic Indulgence (S3E7) - A wealthy citizen is murdered by poisoning at his annual charity party for the elite. Agent Sean Wilkens uncovers some urgent Intel and Dax goes on the offense. Active Discord (S3E8) - Radical activists are causing trouble in Sanpete County. Porter and his team work to find a way to save Vato and Solo from imminent danger in Iraq. Winter Crisis (S3E9) - Paige returns to work just in time to deal with the first real snow storm of the season. A family adventure turns tragic and Paige must determine if it's a freak accident or something more sinister. Dax and his team face a crisis that could turn deadly.